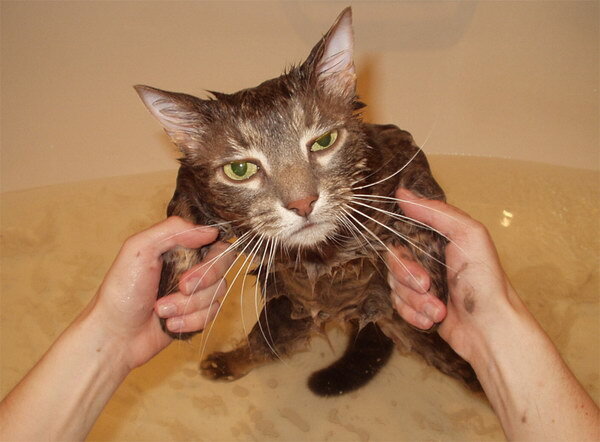 Cat baths. Gatti getting their preferito punishment. Wallpaper and background images in the Gatti club tagged: funny bath. He should be in a commercial! so funny with his "u've got to be kidding me. "face lololololololololol. everybodys wrong hes got WTF are you doing to me / a im gonna kill you face lol aint i right? !